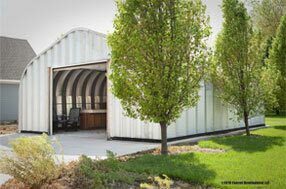 Illinois metal garage kits and steel arch buildings. 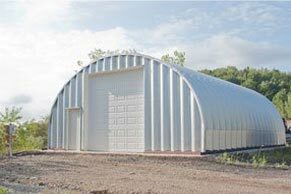 Metal garage kits and steel arch buildings custom designed and manufactured for Illinois customers. The state of Illinois has 55,000 square miles of land which the central plains cover almost all of the state. Our metal garage kits are shipped to main cities of Chicago, Aurora, Rockford, Joliet, Naperville, Springfield and Peoria and distributed to cities throughout the state to Aledo, Altamont, Alton, Amboy, Auburn, Batavia, Belleville, Belvidere, Blue Island and smaller town in between. 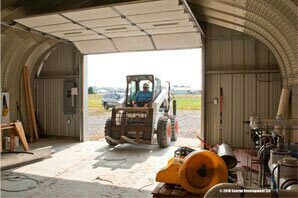 Illinois metal garage kit models have 14 gauge steel for the most sever snow loads and come in hundreds of sizes and options for Illinois residents and businesses with a variety of insulation types, overhead doors, skylights and ventilation. Colors for your garage kit come in Galvalume silver, Lightstone, Polar White and Fern Green. 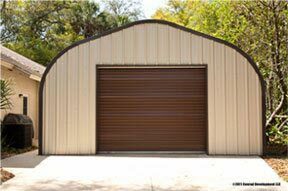 At Metal Building Kings® we custom build your Illinois metal garage kit steel arch building specifically according to all Illinois building codes. Design, price and buy your building by using our price quote calculator or discount calculator or by calling our building support staff at 412-522-4797. Our steel structures are manufactured to meet the toughest certification standards that apply to Illinois and its county building codes and manufactured buidings. 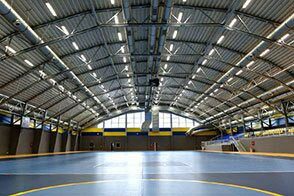 Manufactured steel arch buildings have to be installed to the Uniform Dwelling Code. 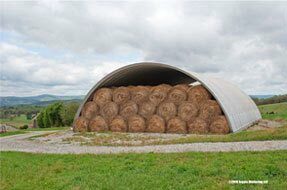 Installation is governed by the federal model installation standard as adopted by Illinois although agriculture steel arch buildings have less restrictions in Illinois. Steel building kits that are pre-engineered must comply with the National Manufactured Home Construction and Safety Standards. 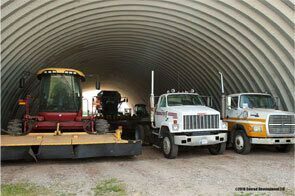 Manufactured buildings (garage kits and steel arch buildings) brought into Illinois must be certified by the the state to meet all wind speed codes, seismic codes and snow loads. 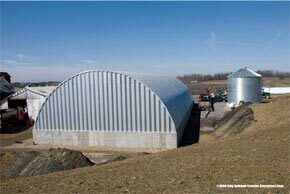 Metal Building Kings® Steel arch buildings and metal garage kits meet all Illinois's strictest requirements. 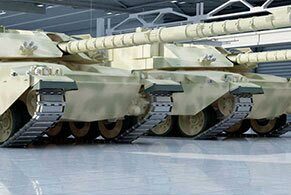 The Chicago roof snow load requirements are exceeded by the arch style garage kits we manufacture and sell. Having a slope exceeding 70 degrees is considered free from snow load and for unsymmetrical loading refer to ANSI A58-1-1982. Arch buildings exceed all Chicago's codes. 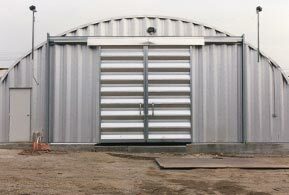 The steel used in our Illinois prefabricated metal garages is Galvalume 80,000ksi tensile yield carbon steel coated with aluminum-zinc alloy with the addition of silicon. 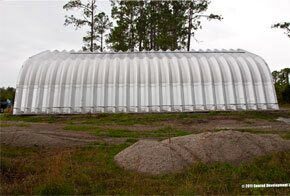 Steel arch panels have a 7½" deep corrugation for maximum strength. 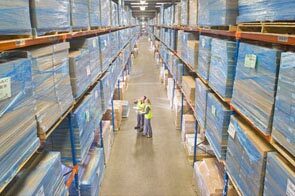 Delivery to your Illinois location is fast and cost effective as our manufacturing facility ships pre-engineered steel buildings to locations throughout the world we are able to obtain the lowest shipping rates and all materials are guaranteed to arrive safely at your building site.